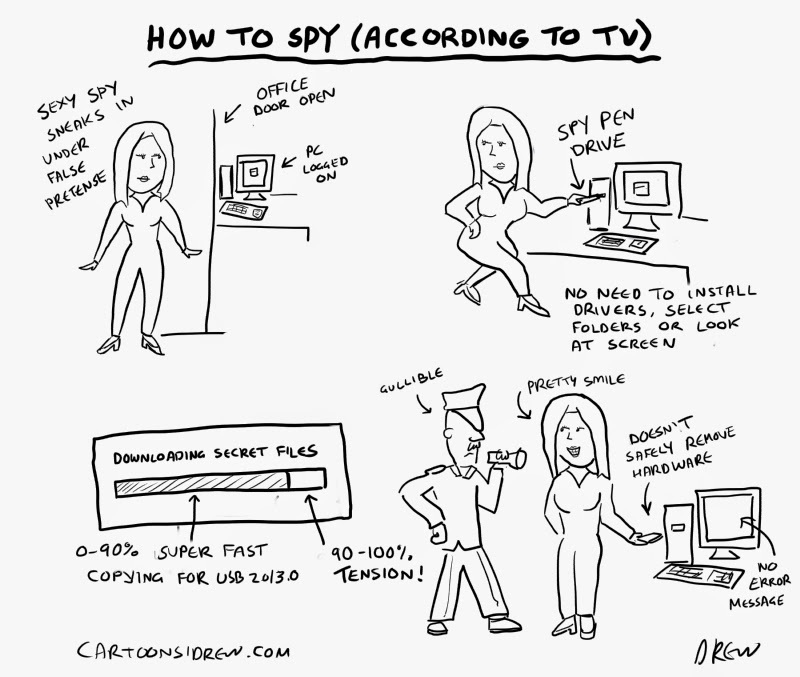 According to the episode of Covert Affairs I just witnessed this is how you steal super secret evil plans using only a plain looking USB drive. Was reading Simon Pegg's blog post where he tried to clarify his earlier remarks made to the Radio Times where he suggested that as a society we've been infantilised by current childish tastes in comic-books and superheroes. His blog post did set out how he is still a geek and loves sci-fi but his points about the ability of our current generation to extend our childhood into adulthood were well made. However as the cartoon above suggests its not nearly as simple as thinking our generation is just less mature than the ones before it. 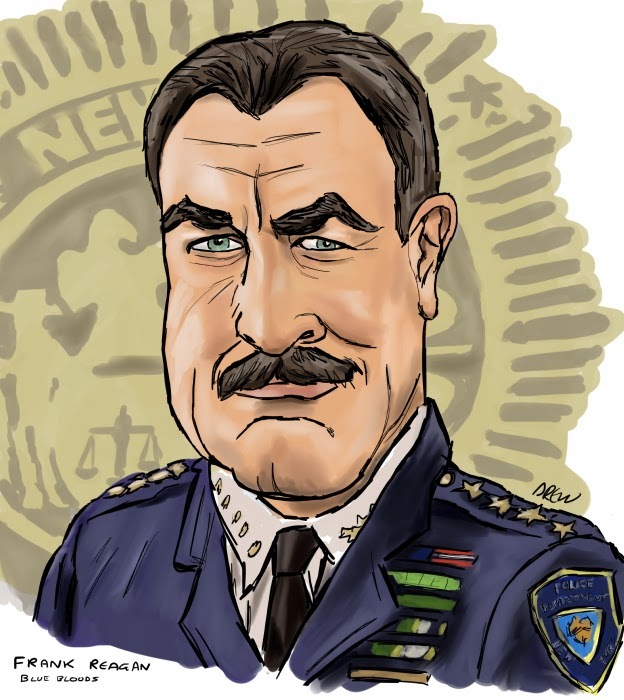 Tom Selleck as Frank Reagan in Blue Bloods for a caricature competition. After weeks of avidly following the UK Election campaign coverage its kinda hard to come down after such an unexpected result especially if it hasn't yielded the outcome you were hoping for. Tactical voting aside everyone votes for who they thinks ought to be power and with the thanks to the first-past-the-post a vote for the loser is a vote wasted. How do you analyse defeat? Were all those who voted for the other guy suckers, scared or evil? Sometimes all we are seeking in defeat is the consolation of like minded souls that we are still in the right and there must be some reason why everyone else didn't see it. However at some point after all the post match analysis you need to move one whether it is to another challenge or another go at getting it right. 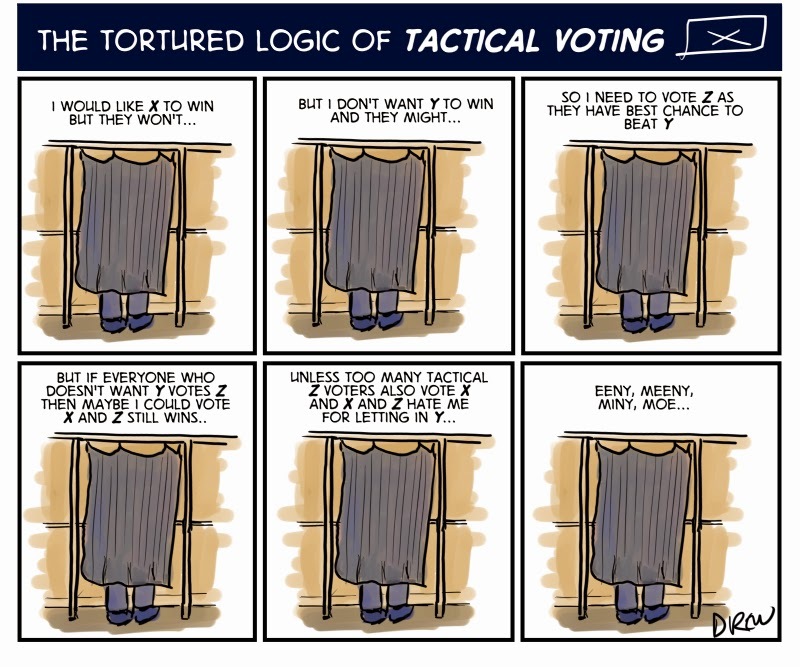 Tactical voting is the pragmatic practise of voting for the lesser choice to avoid the worst outcome to avoid wasting your first past the post vote on whoever you really wanted. 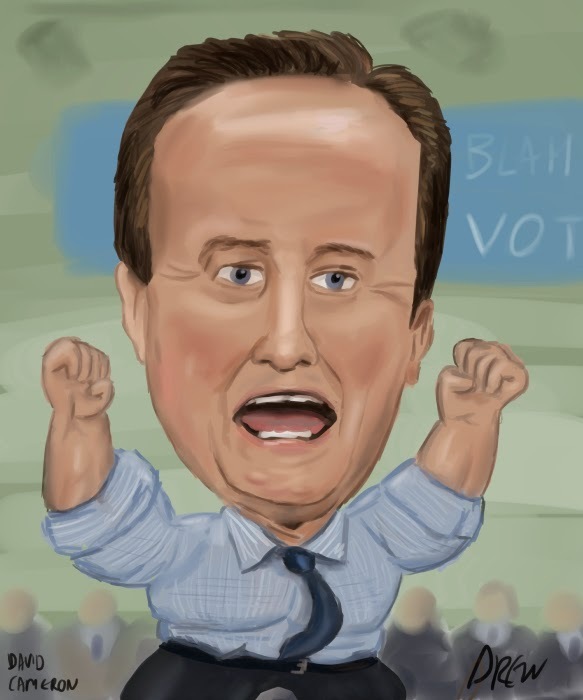 Election night is tomorrow night - I hope we get a result or we're going to have to use version control on the hashtags - #GE2015v2.0 anyone? A lot of talk about coalitions and red lines today as part of #GE2015.